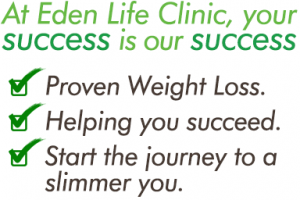 At Eden Life we take great pride in our products… they are the key to our success! All of Eden Life’s products were formulated by pharmacist and founder of Eden Life, Paula Galvão. While Paula has had hands on experience in the development of all our weight loss products she is quick to point out that the excellence reflected in our range is as a result of continuous research and extensive collaboration with and input from many, many world leaders in various fields of research. All of our products have registered international patents or pending patents. We only use products that are noticeably superior to other products in a specific field. You will notice that an enormous amount of research has gone into the development of our products. We do not make claims that we cannot substantiate. To this end, whenever we make a claim, we have backed it up with sound scientific research. You will find a list of all the research material that substantiates any claim we make HERE. You are invited to CONTACT US so that we can discuss the product which best suites your unique needs with you. Our product pricing listed below includes VAT. Titanium Plus Package Supplement T (Triple Strength),Supplement XL and LC 50/50 R7061.60. Brain Booster Assist with concentration and mental clarity. Weight Loss Booster Assist with reducing craving for food, increasing metabolism of starches and firming and toning.